Our church ministries are a great way to live out your baptismal call to be priest, prophet, and king- serving God by serving others. Please use the links below to see more information about our different ministries. 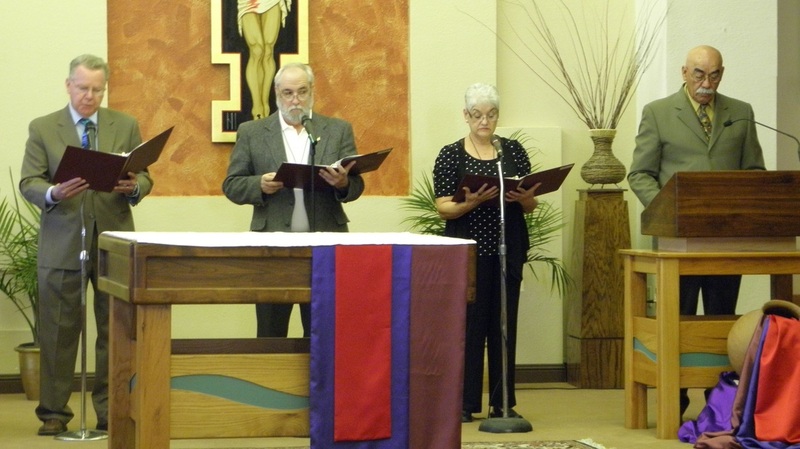 Lectors proclaiming the Gospel on Palm Sunday.